International Education seems Impossible with a strict Financial Budget? At D-Vivid Consultant, we make it possible for you with exemplary scholarship guidance. International Education can dig Holes in your Pocket! Studying abroad is not just an indicator of prestige and quality, it is also a huge investment. And often due to lack of funds, deserving aspirants are devoid of international education - International scholarships prove to be a great rescue for them. To ensure an upsurge in the number of international applicants, colleges and universities across the globe are offering an increased number of international scholarships. Students are rewarded full or partial fee waivers based on certain parameters set by the university itself. These awards are decided on the discretion of the Scholarship Committee of the institution based strong academics, excellent scores on standardized exams, & extracurricular activities. Surprisingly, most of the candidates are not aware of these financial incentives that the universities offer! Our core objective at D-Vivid Consultant is to make International Education Accessible to All. Thus we have set up unique resources to render step-by-step guidance to help you avail International Scholarships. How will an International Scholarship help me? 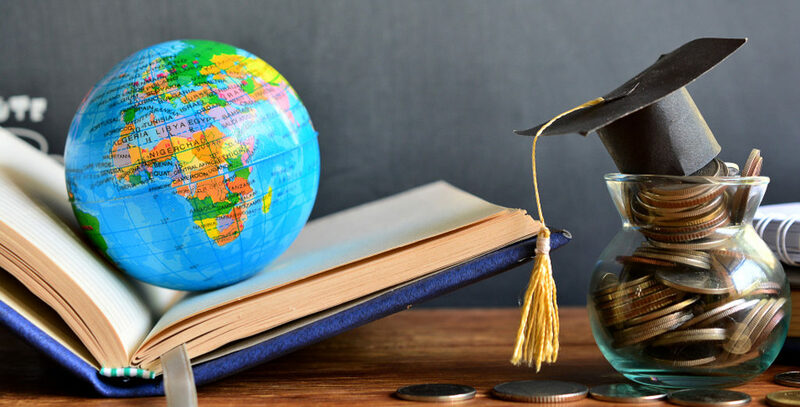 International Scholarships helps you avail financial benefits on the fees of various colleges and universities if you have the relevant criterion as set by them on certain parameters like the academic background, scores of the standardized exams, co-curricular activities or social work. Each and every penny spent on your education is the product of sheer hard work and we earnestly value every bit of it. Our systematized approach and a network with acclaimed universities help students acquire full as well as partial scholarships. There are a different set of scholarships available depending on the course, career profile and sometimes even nationality. We find all the relevant scholarships for you and strictly follow their pre-defined deadlines for application. Scholarship essays are a major determinant that defines your chance of getting a scholarship. Every committee demands certain drafts with a different focus - At D-Vivid Consultant, we prepare them for you intricately, each conforming with the committee’s requirements. The Scholarship Committees also conduct interviews to select the best deserving candidate. We assist you with the probable questions and the expected answers to ensure a high probability of accomplishment.